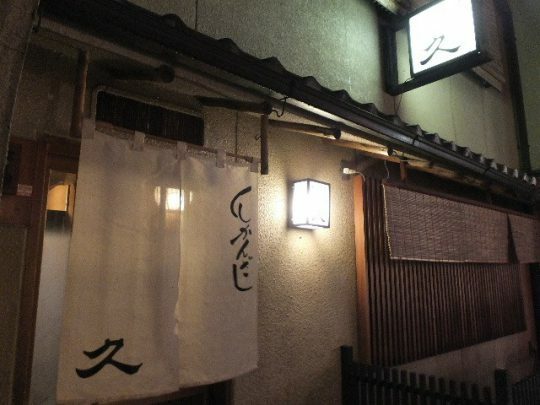 The restaurant I’d like to introduce to you here this time is a restaurant that offers Japanese cuisine in the Kyoto, Pontocho- area. This is an establishment that I highly recommend to those with a particularly gourmet palate. The ingredients that make up each and every dish is just amazing. Although the contents change with the seasons, they are all procured by the owner via his own private routes and include such delicacies as soft-shelled turtle, abalone, sea urchin and natural eel. It isn’t cheap, but definitely a place to go when you’d like to dine well in a non-ostentatious environment.